CNC Machining – Valk Industries, Inc.
precision machining entails the design and generation of computer code that dictates the movements and other actions of various machines, service providers must be skilled engineers as well as have an in depth understanding of computer programming pertaining to machining. 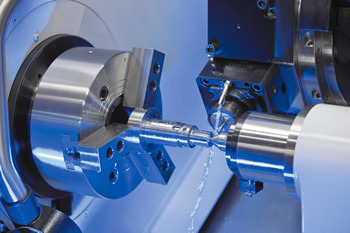 Available in machinist shops and mass production facilities, CNC machining is employed by a broad range of industries including automotive, aerospace and military. Common services include drilling, grinding, milling and cutting as well as broaching, etching, laser machining and electro discharge machining or EDM. 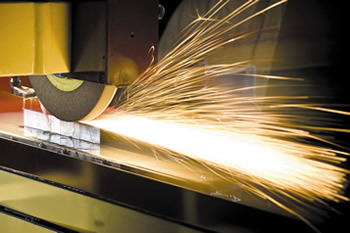 Although the accuracy of these computerized machines results in final products that rarely require additional finishing, optional secondary operations such as polishing, painting, anodizing, heat treating and lapping are often made available. As services vary greatly among shops, it is important to consider the capabilities of a specific manufacturer as they apply to the intended application. Further considerations include dimensional capacities, often provided in a range, as well as material capabilities such as wood, metal, glass, ceramic and plastic. Computer numerically controlled services inherently begin with the use of software to develop the schematics and measurements of the part to be machined. Often in-house capabilities such as computer assisted design (CAD) and computer aided manufacturing (CAM) as well as programs such as photo imaging allow service providers to work with clients in the development of an application-specific design. CNC software then converts these designs into code that will direct the equipment. CNC Machining Services – Valk Industries, Inc. The code, a specific computer language, instructs the positioning, movements, pressure, depth and all other movements of the automated machine in a series of commands performed in a sequential order. One or more machines operate under the supervision of machinists to produce the precision part. Prototype machining is a common service provided prior to full line production. This gives the client a working model or mock up of the part in order to prove feasibility and, if needed, improve upon the original design. CNC machinists are highly skilled workers who offer expert perspective on the efficiency of product design. Though not all, many CNC service providers are certified through the National Institute of Metalworking Skills, ensuring a secure knowledge of machines and processes. Additionally, the International Organization for Standardization (ISO) carefully regulates CNC machining which must follow four main specifications. Service providers should comply with ISO 9001:2000, ISO 13485:2003, ISO 14001 and ISO/TS 16848:2002, which relate to and define industry specific quality standards. CNC Services CNC services are those operations provided by CNC machine shops which often integrate every step of the design and production of precision parts via the use of computer automated machinery. CNC is an acronym for computer numerical control, indicating the important role of computer software in the provision of these services.